Excellent quality/price ratio for this Gallapro YU63 model from Jinyu. Its grooves provide road handling that will satisfy you every day and give you an unequalled feeling of safety. 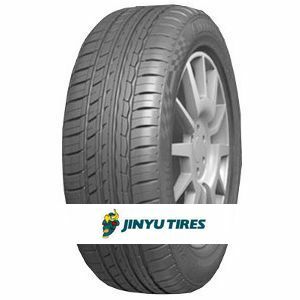 Have Jinyu on BMW 523i they give good grip and are lasting a long time. Will definately buy these again as they are proving to be an excellent budget tyre. Right price, reasonably hard wearing, good levels of grip, massive improvement in driving characteristics over previous runflat bridgestones. To review the Jinyu Gallapro YU63, you first have to log-in by clicking here.